Part of TCOTC’s mission as a nonprofit club is to serve the community. One way we do this is by hosting the Hennepin Heelers, the 4-H dog training club for Hennepin and Ramsey county youth in grades 3 through 12. Throughout the year, these young people and their dogs practice positive reinforcement training and also gain experience in the sports of obedience, agility, rally and showmanship. In all activities, the club emphasizes positive training techniques and responsible, ethical pet ownership. Like all 4-H programs, the club seeks to plant the seeds for lifelong interests and, in fact, many former 4-Hers have gone on to become avid exhibitors and judges. The group is led by sisters Anna and Katie Kleven, themselves graduates of the 4-H Hennepin Heelers program who now volunteer their time as dog trainers. They are supported by other adult volunteers: Judy Dove, a member of both Minnesota State 4-H Dog Project Development Committee and a TCOTC board member, and Connie Gebhart, a long time Heeler leader. The Heelers meet on Sundays at TCOTC. The purpose is “hands on training,” says Anna. “Our goal is to help develop a well-behaved family pet and increase the bond between kids and their dogs.” Anna and Katie say that the best part of their job is seeing the progress that their students and dogs make throughout the year. Katie says they go from “basically out of control” to a confident team with an obvious “bond that has formed.” Classes are increasingly more challenging as teams progress through the program culminating in Utility in obedience and multiple agility classes. A highlight of the year is the annual two-day Hennepin County 4-H Dog Show that the Hennepin Heelers host at TCOTC. 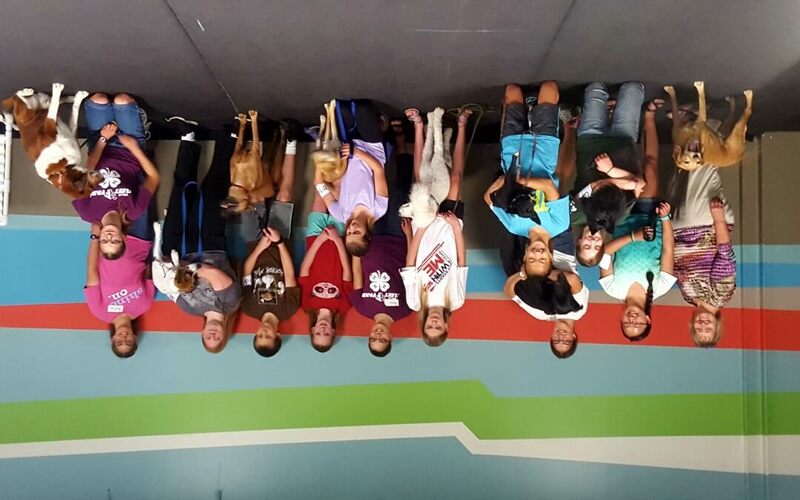 The winners of their classes qualify to compete in the State 4-H Dog Show in September. If you know a young person who loves dogs and is interested in joining our 4-H Dog Club the Hennepin Heelers, please contact club leader, Anna Kleven, at annakleven@aol.com.